A field trip to Leonardo’s Children’s Museum is not only a BLAST, but a unique experience that will stimulate the imagination and natural curiosity of children. With many hands on and STEAM learning (Science, Technology, Engineering, Art and Math) opportunities to explore the trip will be a great starting point for later classroom lessons. All Oklahoma teachers are eligible for a FREE FIELD TRIP to Leonardo's with help from our community partners! 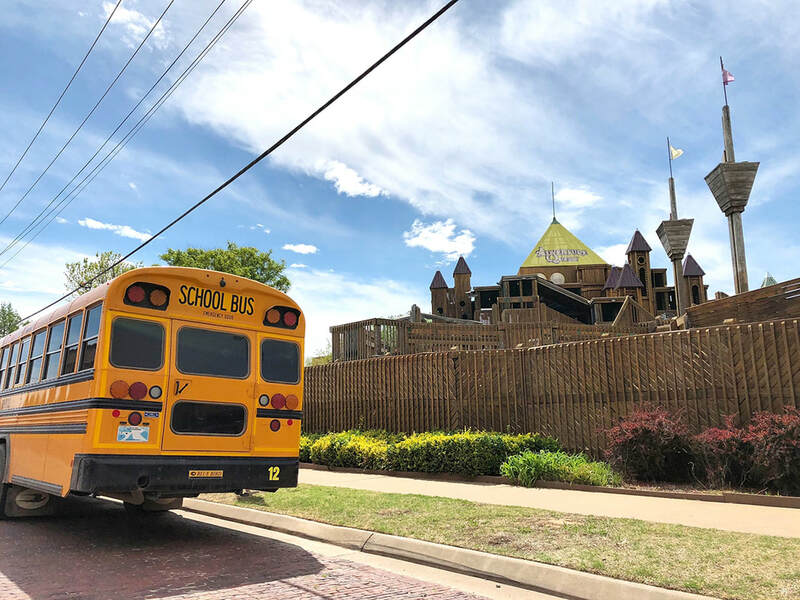 If you are an Educator at an EPS Title I School then you can bring your class on a field trip, ALL Admissions PAID (including all students, teachers, parents, & siblings) to Leonardo’s! Field Trips can be scheduled between October 1st and March 31st, 2019! Spots are LIMITED, so book today for your FREE Field Trip! Oklahoma teachers can receive a FREE FIELD TRIP to Leonardo's for their class by attending an OERB workshop! At the workshop you will receive a curriculum guide, professional development points, a kit with materials used in the curriculum, a free t-shirt, and even a $50 stipend for attending!